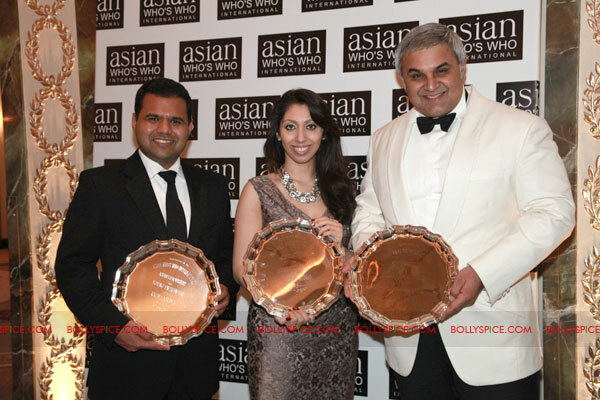 Some of the most prominent figures from the Asian business community were honoured with Asian Leadership accolades across six award categories at the esteemed Asian Who’s Who Awards 2011, which took place on Monday 21st November at The Dorchester Hotel, Park Lane London. Now in its 24th year, the high profile event pays homage to the most influential Asians the world over, who have made a phenomenal contribution to their respective fields and continue to set a shining example to their peers among the global Asian fraternity and beyond. The winners were presented award accolades in the presence of a host of MP’s, dignitaries, industry leaders, celebrities and VIP’s in attendance. Award winners were selected by an independent panel of eminent advisors, including previous award winners such as Founder and Chairman of Cobra Beer Lord Karan Bilimoria; Baroness Shreela Flather; and Rt Hon Keith Vaz MP. Asian Leadership as Young Entrepreneur – Mr. Rajesh Agrawal, Founder & Chief Executive of RationalFX, one of the world’s fastest growing and most competitively priced independent foreign exchange companies, and Xendpay.com, a leading online international payments service. Rajesh Agrawal was recognised for his gifted sense of entrepreneurship and for creating a multi-million pound commercial foreign exchange and international payments company which is fast becoming its marketplace leader. Born in Indore, India, Rajesh, who holds a Bachelor’s degree in Finance & Marketing and an MBA in IT & Marketing, was 22 years of age when he left his small town home in India to live on only 5,000 rupees (approximately £63) a month in Chandigarh, Northern India, working for a small web-designing company. Rajesh moved to London in 2001 after being headhunted by a foreign exchange broking firm and after harnessing over 10 years of experience in IT, currency risk management and commercial foreign exchange, he teamed up with colleague, Paresh Davdra, to create RationalFX. What started as a two-man enterprise based in Brighton is now a multi-million pound turnover business based in the City of London, with offices in Birmingham, France and Italy, and the firm is now one of the UK’s fastest growing companies. As a brand extension to RationalFX, Rajesh launched Xendpay, a leading provider of international payments and worldwide money remittance online. Engaged in a number of high profile endeavours and community based engagements, RationalFX is also the principal sponsor for Birmingham City Football Club for Season 2011-2012, again testament to the company’s exponential growth and a further signifier of Rajesh’s commitment to supporting regional projects and grass roots organisations. Asian Leadership in International Media – CEO and MD of Sterling Media, Natasha Mudhar – Natasha was recognised for her rigorous business acumen and entrepreneurial spirit. As CEO and MD at Sterling Media, one of the UK’s leading full-service communication agencies with global footprints in Middle East, India, USA, Canada and Pan-Europe, she is known today for her phenomenal contribution in the field of brand management, marketing, public relations, advertising, online and events. Natasha joined Sterling in 2004 which was established by Ms Teji Singh, one of the first women from an ethnic background to independently set up an international agency in the UK. Natasha’s exemplary leadership has spearheaded the company’s transformation into an award-winning, globally recognised name. With the good-will of over 17 years, Natasha’s brand building expertise has been sought by emerging brand names, which she has successfully propelled onto a global platform, as well as large corporates that regularly seek her unparalleled consultancy services. The young achiever successfully manages an impressive portfolio of clients and her contribution to the company includes implementing campaigns for clients such as Live 8 for Make Poverty History I and II, Aston Martin, Lloyds Banking Group, Warner Bros. Pictures, Twentieth Century Fox, Viacom, Sony Music, Sahara, Kingfisher Airlines and Force India. The company has also contributed to the UK Bollywood Boom and is passionate about raising the share of voice and mind for diverse communities within the media, promoting International and Ethnic events, issues and interests that were once perceived as niche to a wider mainstream and international audience. In speaking about the Award, Natasha said, “It is truly humbling to have received the award and I thank the entire team and esteemed judging panel of Asian Who’s Who. From being recognised as a tool for propaganda and now as a form of two-way communication, without a doubt the communications and media industry is one of the world’s most powerful with its ability to create change. To be a small part of this change through our work is an honour and I am grateful to have had the opportunity to be part of a fraternity and company such as Sterling. Sterling wouldn’t be what it is today without the support of my fantastic team and clients but above all Sterling wouldn’t be what it is today if it wasn’t for the vision of Ms. Teji Singh who single-handedly set up the company 17 years ago. I am extremely proud of my Indian heritage and my kinship network, which has instilled in me a value system that promotes hard work and integrity to achieve success and overcome challenges. Asian Leadership in International Business – Global Chairman of TOPSGRUP, Dr Diwan Rahul Nanda – India’s most preferred security solutions brand and the first Indian MNC to acquire Great Britain’s leading security company ‘The Shield Guarding Company Limited’. Dr. Diwan Rahul Nanda is by far acknowledged as the pioneer and the most prominent spokesperson of the burgeoning security industry in India. What started off as a sick company with revenues of £30,000 pa and 8 customers is today, under Dr. Diwan Rahul Nanda’s dynamic vision, India’s largest security group with revenues in excess of £150 million, 93000 employees, 120 offices and approximately 8000 customers. He took over the reins of TOPSGRUP at the age of 22, when security was treated as expenditure and the Indian security industry was in its nascent stages, re-writing the rules for the security business not only for TOPSGRUP, but for the entire Indian Security Industry at large. Asian Leadership in Promoting International Harmony – Ashook K Ramsaran President of Global Organisation of People of the Indian Origin and a Chairperson of GOPIO’s tracing our roots community. Asian Leadership in Diversity – Jagdeep Rai, Barclays Corporate Area Director for the Heathrow & Slough – Based at 1 World Business Centre, Heathrow, Jagdeep is responsible for the leadership of 20 employees aimed at delivering banking solutions and services. Asian Leadership in Community Service – Dr. Pushpinder Chowdry is a practising psychotherapist, with a doctorate in this subject. She has dedicated her career to both assisting and the most needy members of the community and promoting Asian Culture. She is also the Founder of the London Asian Film Festival. 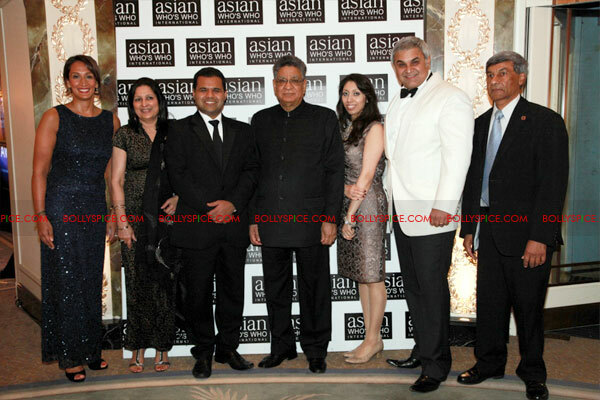 Asian of the Year 2011 – Joginder Pal Sanger owns Washington Mayfair Hotel, Bentley Hotel, Courthouse Hotel. Mr. Sanger has been honoured with various community awards including Pravasi Bharatiya Diva Award 2005. Mr. Sanger progressively diversified into Property Development, Investment and Hotel Operations. He is the proud owner of Washington Mayfair Hotel, Bentley Hotel, Courthouse Hotel. He is often known for his support for Asian causes by participating in various fundraising activities.